Custody matters can be emotionally taxing on both parents and their children. They become even more difficult when a parent suddenly loses the ability to see his own children on a daily basis, whether due to divorce, separation or loss of parental rights. While mothers in Tennessee have historically been awarded sole physical custody in 95 percent of child custody matters, fathers still retain certain legal rights, including the right to exercise their role as a parent in their children's lives. In the U.S., biological fathers have guaranteed rights afforded to them by the U.S. Constitution, regardless of the state in which they reside. This includes the right to continue a relationship a father has already established with his child, and the right to develop a relationship with his child if no previous relationship exists. Provided the father's rights have not been terminated, the mother has no right to interfere with these rights. Fathers also retain the right to participate in legal decisions with their children, even if they do not retain physical custody. While Tennessee ranks the rights of the child higher than the rights of the parents, the custodial parent and the non-custodial parent have certain equal rights under state custody laws. The rights of the mother do not exceed the rights of the father, and the mother cannot make decisions regarding the child that deliberately interfere with the father's rights. Non-custodial fathers have a right to child visitation, as long as their visitation rights have not been terminated by the court. Because visitation rights are exclusive, they are separate from any other obligations a father may have to his children and/or his former spouse, including child support and alimony. The mother does not have a right to prevent or otherwise interfere with scheduled visitation, even if the father is behind on child support payments, as Tennessee separates support and visitation. Only the court can legally end visitation rights. Fathers do not necessarily have a right to custody in Tennessee. Custody is determined only in the best interest of each child. In most cases, this means maintaining the child's previous lifestyle to the best of the court's ability. If the mother previously stayed at home with the child while the father worked, the court will award the mother physical custody. However, if the father can prove that the mother is an unfit parent and the court agrees, or if he has provided a majority of the child's care, the father has a right to take custody of the child before anyone else (provided, of course, he has not been deemed an unfit parent himself). Fathers have an exclusive first right to assume custody of their children if the mother decides to give up her parental rights. 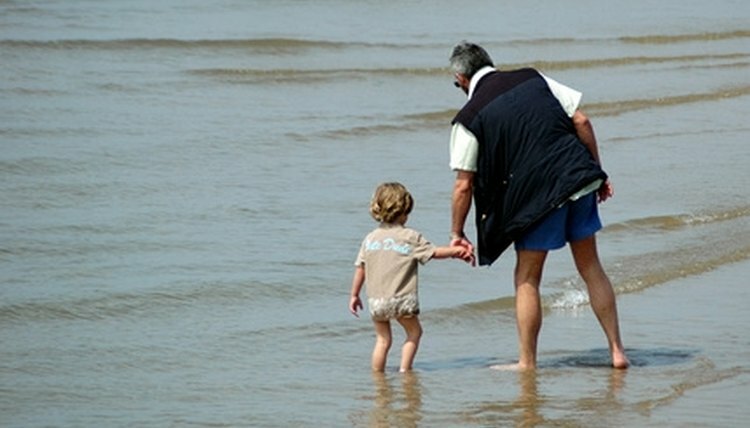 Grandparents and other relatives cannot step in before the father has an opportunity to take custody. Only if the father decides to forfeit his rights can anyone else take custody of the child. Further, Tennessee does not permit a mother to relinquish a child for adoption without first notifying the father, and the father must voluntarily relinquish his rights as well; otherwise, the father can seek to reverse the adoption and take custody of the child immediately. Ferland, Carrie. "A Father's Legal Rights in Tennessee." , https://legalbeagle.com/6511294-fathers-legal-rights-tennessee.html. Accessed 20 April 2019.